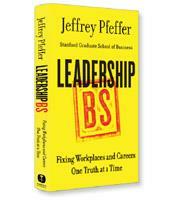 In Leadership BS, Jeffrey Pfeffer shines a bright light on the leadership industry, showing why it’s failing and how it might be remade. He sets the record straight on the oft-made prescriptions for leaders to be honest, authentic, and modest, tell the truth, build trust, and take care of others. After participating in a leadership program, a slightly inebriated participant approached Stanford Business School professor Jeffrey Pfeffer and berated him for not being inspirational. For Pfeffer, who has written numerous books on leadership, the comment hits at the core of what is wrong with leadership training and consulting today. People want the wrong things, consultants are happy to give it to them and nothing is working. 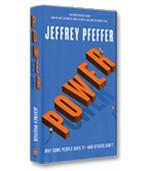 Pfeffer signals the tone of his new book with its title Leadership BS. The leadership industry is a massive and lucrative industry involving books, articles, speeches and consulting contracts, keeping many people busy … and wealthy. The problem, according to Pfeffer, is that after thousands of books and speeches by hundreds of consultants and other leadership experts, our leaders are not getting any better, and our employees are not getting any happier. Many leaders are still being fired after failing to achieve their goals. Many employees want nothing more than to get away from their bosses and supervisors. If leaders aren’t getting better, one major reason is that, as exemplified by the seminar participant above, the industry is focused on pushing inspirational leadership instead of making a scientific effort to find out what really works. Pushing inspiration, writes Pfeffer, does not work, and any attempt to measure the results of inspirational leadership training would demonstrate that fact clearly. However, the problem is that there is no real measurement of leadership training and consulting. When a consultant develops a fancy seminar on leadership, how does he or she know whether it was successful? Not by developing a rigorous metric for measuring workplace results by participants. Instead, the measurement for whether a leadership seminar has been successful is based on asking participants if they liked it. 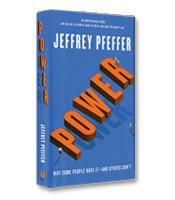 Another major problem that Pfeffer sees with the leadership industry is the low barrier to entry. Any person, with or without serious credentials, can start a blog, write a book or give speeches on leadership. In fact, according to Pfeffer, many so-called leadership experts have never been in a leadership position, or have been in a leadership position and failed, or are proponents of a leadership style that is very different from the way they behaved when they were in leadership positions. The leadership industry is also saddled with a paradox that most people ignore: What is good for the company may not be good for the leader, and vice-versa. By laying out some of the major problems with today’s leadership industry, Pfeffer also sets up some solutions, such as more attention to metrics and accountability, more attention to credentials and acknowledging the different interests of leaders and their companies. This is only the beginning, however. After thoroughly scorching the usual suspects of leadership prescriptions — including inspiration, modesty, authenticity, trust and servant leadership — Pfeffer summarizes in this provocative, must-read book the way to fix leadership, with a twist on a famous movie line: “You can handle the truth.” If we want the best leaders running our companies and organizations, then it’s time, writes Pfeffer, to face “the reality of organizational life.” Forget what should be, and focus on what is. Pay attention to actions, not words. Acknowledge that “there are occasions when you have to do bad things to achieve good results.” Recognize that one size does not fit all.